You probably know that home security systems are the best first line of defense against break-ins and theft, but knowledge is your closest ally in defending your family’s security. That means it’s a good idea to ask the question: What attracts thieves to a house? 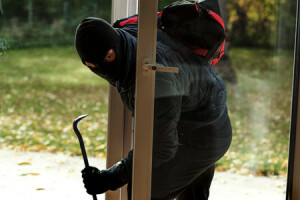 For a burglar, time is the enemy in a break-in. Of course, criminals prefer to break into houses without alarms or home security systems. When they do activate home security systems, burglars know they have only minutes to get out again, so they look for valuable items that are easy to carry, easy to sell and hard to trace. Here’s a look at some of those items at the top of a burglar’s wish list. Cash: According to recent statistics, most Americans still carry cash, even in the age of credit and debit cards. Thieves look for money because, well, it’s money. It has instant value and it’s nearly impossible to trace or find later. Jewelry: It’s high in value, easy to transport and easy to sell. That’s why 78 percent of burglars take jewels. It’s especially easy when home security systems aren’t present. Prescription drugs and illegal drugs: Mayo Clinic recently reported that some 70 percent of Americans take at least one prescription medication. Many have a high street value, especially opioids and even Ritalin. And many households contain illegal or recreational drugs. In one study, 66 percent of burglars admitted stealing illegal drugs for their own use or for resale. Without home security systems, some people might be putting their very health in jeopardy if medications are taken. Electronics: Like jewelry, small personal electronics are light and easy to steal, and they have a fairly high resale value. Today, the average American home has five web-connected devices, plus stereos and TVs. The easiest to take are small items such as smartphones, cameras, tablet computers and laptops, but American homes have lost flat-screen TVs and desktop computers to thieves, as well. Video games: These are small and have a definite resale value, though their worth might be on the decline as games move to the cloud. Clothing and shoes: Thieves have stolen shoes and other expensive clothing for resale, even though they probably won’t fit. Car keys: Leave them in an obvious place and you’re asking thieves to steal your car—as well as your money, medications and electronics—especially if it has a remote control starter. House keys: If your house gets broken into, check that you still have all your house keys. Thieves have taken house keys to make future break-ins easier. In any case, it’s best to change your locks after a break-in. Home security systems can act as another layer of valuable protection on top of those new locks. Your identity: The most valuable theft of all involves taking your wallet or your laptop, which can give a thief access to your bank and credit card accounts, as well as other information that could allow them to make purchases or take out debt for which you’ll be responsible. Some people try to augment their home security systems with a safe for cash, jewelry and other valuables, but a safe is useless unless it’s securely bolted down. It’s just an advertisement for where you keep your most valuable things, and thieves will just take a small, unsecured safe with them to open at their own convenience. Many experts recommend you hide large amounts of cash, precious jewelry, passports and other identity documents where thieves won’t look. Don’t leave them in a filing cabinet or a safe, but perhaps in a box in a dry, safe, out-of-the-way place in the basement. Mislabel a folder with the phrase “veterinary records” or something else that is purposefully misleading. The best place to start is to assess where your home is vulnerable. Then have a qualified Salt Lake City alarm system professional install the home security system that meets your needs. Ask BP Alarm for clear advice on how to protect your home and family.